First exhibited at ARTER’s “Second Exhibition” in Istanbul, Network of Foundations and Corporations Through Shared Board Members: Turkey Edition (2010) is now on show at Art & Textiles – Fabric as Material and Concept in Modern Art from Klimt to the Present exhibition in Kunstmuseum Wolfsburg, Germany. Digital print as 5m x 7m mural, custom software. 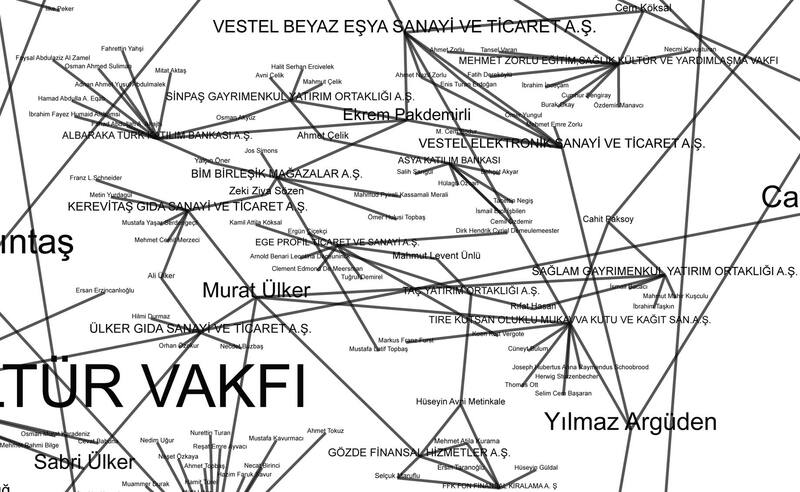 The network map contains the tax-exempt foundations in Turkey and the public corporations listed on the Istanbul Stock Exchange. Nodes represent institutions or board members, connections represent board membership. The network database include 350 public corporations, 234 tax-exempt foundations and their 3310 board members in total. 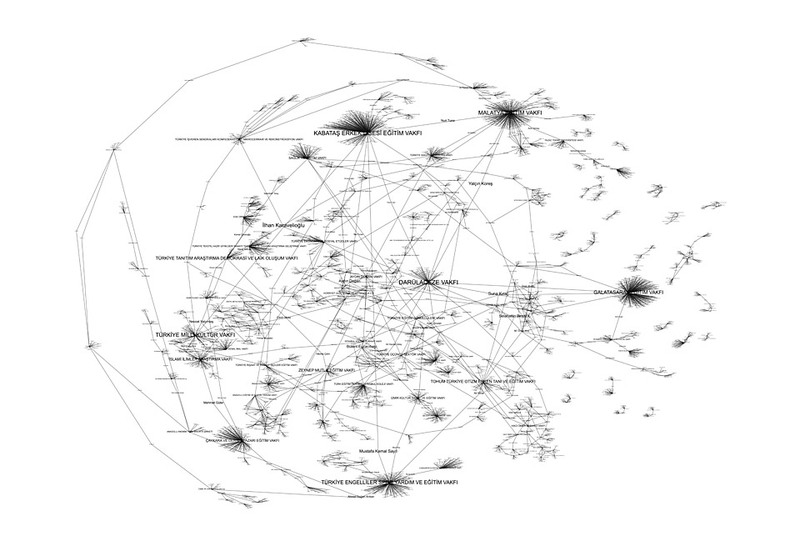 The network map organizes itself by running as a software simulation, where the names naturally find their position on the canvas through connecting forces, revealing the central actors, indirect links, organic clusters, structural holes, and outliers. Clusters of institutions on this map shows the super-institutions which have high power concentration in the society.